Myrtle Beach, South Carolina is one of the most popular places people are moving to at the moment. Many of the new arrivals are retirees looking for a place to enjoy the sun. They want to swap a life of work for a life of leisure. And it’s totally understandable why so many retired people consider Myrtle Beach the perfect place to retire. If you’re planning your retirement and you’re thinking of moving to a place nearby water with plenty of sunshine, this could be the place for you. However, it’s not just the sun which makes Myrtle Beach a great place to live. Here is our list of the top 10 reasons why moving to Myrtle Beach makes sense in your twilight years. Let’s discover the benefits of Myrtle Beach together. If you don’t want the weather to be too hot or too cold, then Myrtle Beach could be the perfect place for you. Myrtle Beach is well-known for its temperate climate, which it enjoys for most of the year. 215 days of the year are sunny! Do you like extreme sports? In the summer you can take advantage of the water activities available. This includes everything from swimming to jet-skiing. Worried about the cooler temperatures? Even in the spring and fall, there remain plenty of beach activities to enjoy. Are you passionate about fishing? Have you ever tried kayaking? There are lots of reasons to love the winter months in Myrtle Beach too. The cooler and fresher air is a much-appreciated change for most residents. But you don’t need to stay indoors in the cooler months. Why don’t you enjoy winter walks on the beach, especially if you have a pet dog? The winter is also the perfect time to play a round of golf with your buddies without the heat. And before you know it, spring will have arrived, and the weather will start to improve. Then, you get to enjoy the bright colors of the blooming flowers and the joy of eating outdoors. Many people move to Myrtle Beach because of the beach itself. The beautiful beach can be enjoyed whatever the weather. However, it is obviously at its most popular during the summer. Well, more than 14 million people visit Myrtle Beach to enjoy spending time in the sunshine on the beach. The 60 miles of Grand Strand, of which Myrtle Beach is the largest city nearby, makes for an exceptional beach experience. That means that you can walk for miles and miles while enjoying the white sands between your toes. It’s not only Myrtle Beach which you can enjoy in the region. You can also check out Surfside Beach, Huntington Beach and Garden City. All of which provide you with access to some of the most beautiful beaches on the East Coast of the United States. It may seem strange when after you first move to Myrtle Beach, but you’ll soon get used to going down the road to reach the beach whenever you fancy. Many retirees are able to finish working earlier than others because they’re willing to move to a cheaper city. Do you want to purchase your second home in Myrtle Beach? Are you looking to move permanently to Myrtle Beach? Are you searching for a large detached home or a small studio apartment? 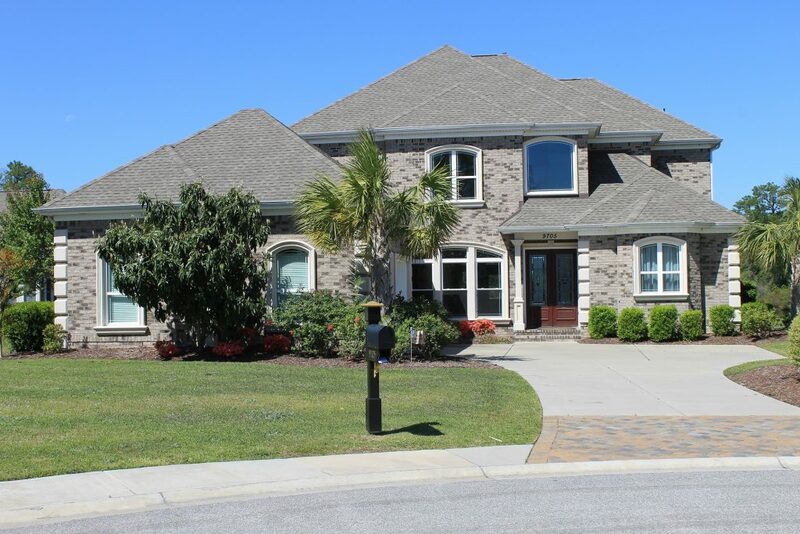 The Myrtle Beach real estate market has a wide variety of homes to fit any price range. If you’re looking for an investment, you need to move quickly because property prices are expected to rise significantly as Myrtle Beach grows in popularity. 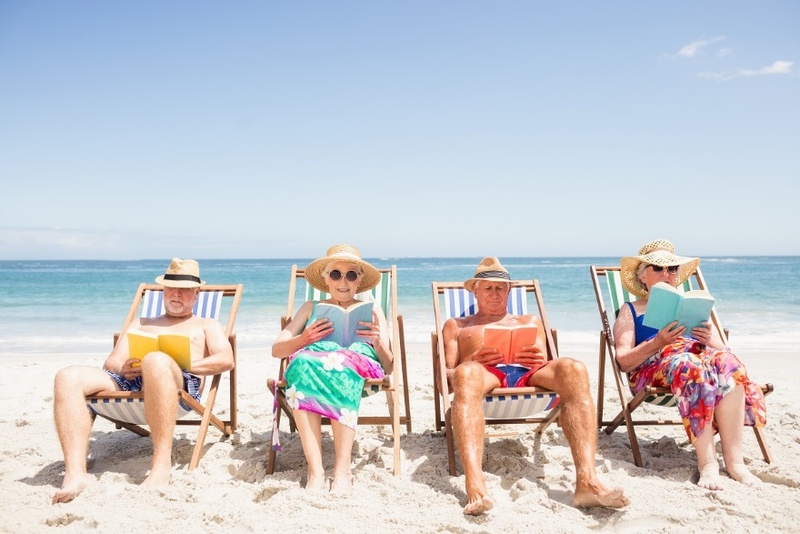 Apart from the excellent weather conditions and the beautiful beaches – what makes so appealing for retirees? It’s the affordable living costs obviously. Millions of Americans are facing retirement with limited savings in the bank. With such stark financial circumstances, you cannot neglect the importance of affordable living costs. The cost of living in Myrtle Beach is lower than the national and state (South Carolina) average. In fact, it is 7 percent lower than the national average. This makes it an excellent choice for financially-savvy retirees. You can swap the expensive city living of your previous life to live in luxury without the expense. There are so many Americans who are too worried about money to retire. By moving to a place with a lower cost of living, you can live the dream. Do you still have an income in retirement? If you do, you want to keep as much money in your pocket during retirement. The state of South Carolina has one of the lowest tax burdens in the United States. You aren’t taxed for social security benefits in the state either. If you consider the lower cost of living plus the lower rate of tax, you could be onto a winner by moving to Myrtle Beach for retirement. If you want to enjoy dining out during your retirement, such opportunities are not going to be in short supply if you move to Myrtle Beach. Myrtle Beach is famous for the delicious seafood available in the restaurants along the Grand Strand. You can’t spend very long in Myrtle Beach without checking out seafood favorites, such as Hot Fish Club and Sea Captain’s House. The regional cuisine is known as Lowcountry, which is celebrated across South Carolina and Georgia. There are many similarities between Lowcountry cuisine and Southern cooking in general. However, don’t assume you have to feed on fish every day. Myrtle Beach is celebrated for the diversity of cuisines available. If you want a fabulous Italian pizza or some yummy Japanese sushi, you can definitely get it here. Myrtle Beach and South Carolina, in general, are largely under-estimated when it comes to cultural activities. People concentrate on the partying and the beaches. However, there are also some fantastic museums in these parts. For example, Brookgreen Gardens is preserved gardens of native flora and fauna on the area. The museums and gardens combined cover nearly 10,000 acres of land. If you want to learn about the culture and history of South Carolina, you can also visit Hopesewee Plantation. This former rice plantation is now a National Historic Landmark. The Bowery is a music hall that has been entertaining locals and visitors since the Second World War. It’s also famous for kickstarting the career of the band Alabama. If you want to catch live music, then head to the MarshWalk. You never know what cultural gems you’re going to encounter here. Do you like to have something to look forward? The calendar year is always quickly filling up in Myrtle Beach. One week there is the ‘world famous’ Blue Crab Festival, where you can enjoy fabulous seafood and fun music for all the family. You can drag out your lederhosen for Oktoberfest. Hopefully, you like beer for this one. To celebrate the month of May, we have the Mayfest on Main. Remember the 1970s? Get nostalgic for with the Beach Boogie and BBQ Festival. Like the finer things in life? The Wine Fest is quite a treat too. Do you want more seafood but with a bit of jazz? Go along for the Little River Shrimp & Jazz Festival. In Myrtle Beach, we can’t get enough festivals in the year. Golf is becoming increasingly popular in Myrtle Beach too. If you want to play golf more when you retire, then you’ll be spoilt for choice here. Myrtle Beach’s Grand Strand is famous for its award-winning golf. There are more than one hundred golf courses. If you want to join a private golf club, there are several to choose from. These include the Pine Lakes, the Dunes Club, and Surf Golf. However, if you only want to play golf now and then, you might want a golf course which is open to the public. Myrtle Beach has this too, such as Barefoot and Brunswick Plantation. What about if you want to play mini golf? You can do that too. There are actually over 30 mini golf courses here. If your ambition for your retirement is to improve your golf swing, then you’ll have ample opportunity to do this when you move to Myrtle Beach. Even though the number of people turning to online shopping shows no sign of slowing down, Myrtle Beach’s shops continue to thrive. After all, luxury retirement living is not complete without the ability to go shopping. You have to start at the Hammock Shops Village. This is the most popular location for shopping in the area. The village originally opened its doors in the 1930s. Do you want to buy the finest wine from California or France? Or maybe you’re after some of the best coastal designer clothes? You can always find what you want here. When you move to a new place, it’s not only about the place itself. It’s also about the connections to other places. Myrtle Beach does extremely well in terms of this. There are few reasons to leave the city for dining, shopping or entertainment. However, you want to go for day-trips or weekend breaks, there are numerous choices. Charleston is easy via car to get to from Myrtle Beach. You can find a fascinating culture with lots of shopping and eating opportunities here. You should definitely check out the historical city market for souvenirs and Gullah sweetgrass baskets. On your journey to Charleston, stop off at Georgetown. The town is the birthplace of the former first lady, Michelle Obama’s grandfather. You can enjoy the beautiful old town center here too. For many retirees, health care services are especially important as you enter your twilight years. The retirees who move to Myrtle Beach know that it’s not only about the golfing and the sunshine. The health care is also top-notch! In fact, The health care services in Myrtle Beach are some of the best in South Carolina. According to U.S. News, Myrtle Beach health care services are ranked as “high performing”. All kinds of medical care are available, which includes speech therapy, physical and occupational health requirements. Emergency medical services are conveniently located in the Tidelands Community Hosptial. Apparently, 30 percent of Americans don’t know their neighbors. That’s probably not the case in Myrtle Beach. You probably don’t have time to get to know your neighbors while you’re working every single day. But, maybe when you’re retired things will be different. If you want to find a community which is open and welcoming, then moving to Myrtle Beach is the right choice. There is a reason why Southern hospitality is famous! It’s because the people living here really are friendly and warm. 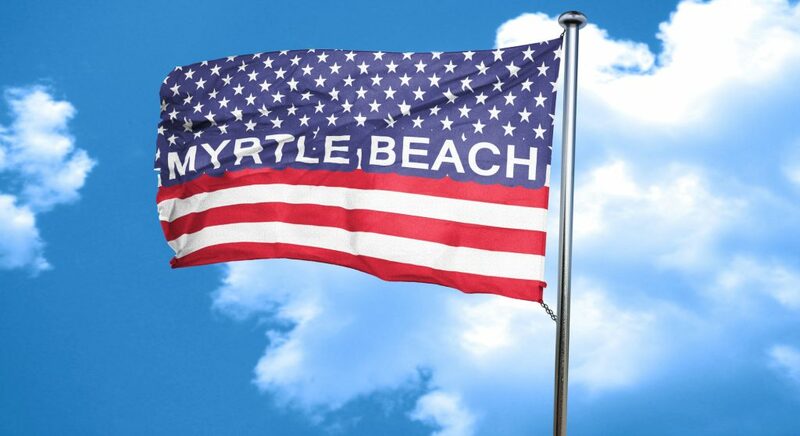 If you want to show your community spirit in Myrtle Beach, you have many opportunities to do so. You can volunteer with arts groups, religious organizations and much more here. Now you know what all the fuss is about. There are endless reasons to move to Myrtle Beach for your dream place to retire. Are you a sun worshipper or a passionate foodie? Are you an eager golfer or happy shopper? Myrtle Beach has it all for retirees.